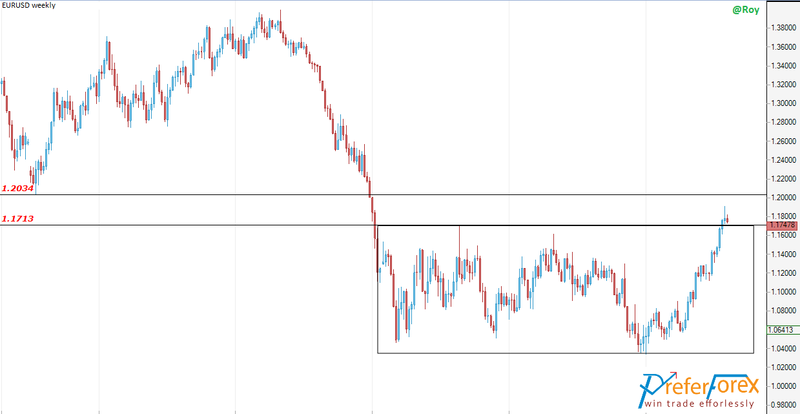 EURUSD has broken a large range and hold above it. Now we are having a retracing bearish movement. There is a support at 1.1713 that could be the target of this retracement. The next target of the bullish movement could be the level of 1.2034 which is offering a resistance.